Allowing users to leave comments in your website ads can drive more traffic back to your website. 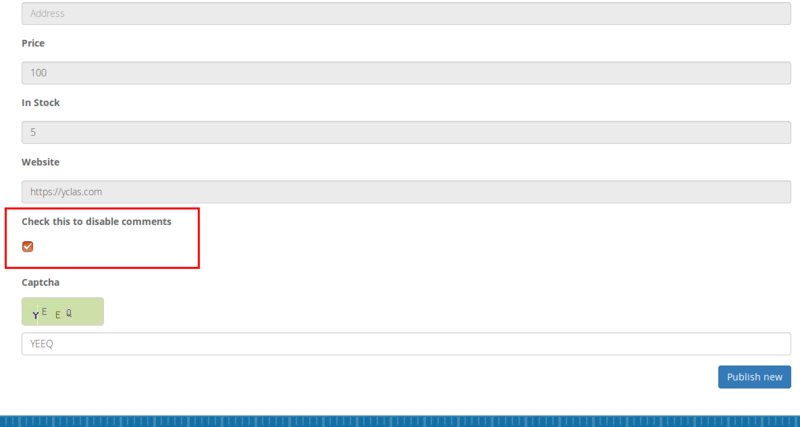 With Yclas you can add comments with Disqus or Facebook comments. It’s important to call this field commentsdisabled. Select Checkbox into the Type field. 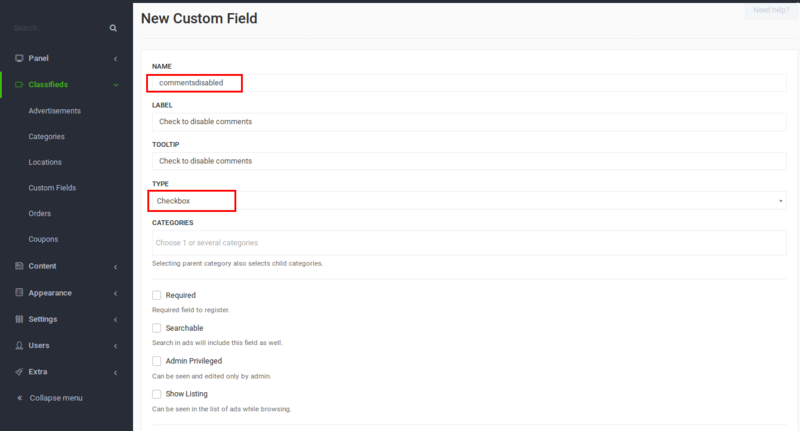 With commentsdisabled custom field created, publishers have the option to disable comments in their ads. If the checkbox is checked, the comments section will be disabled in the ad.